Home / TV / ‘Game of Thrones’ Review – “Hardhome”: Budget? What Budget? 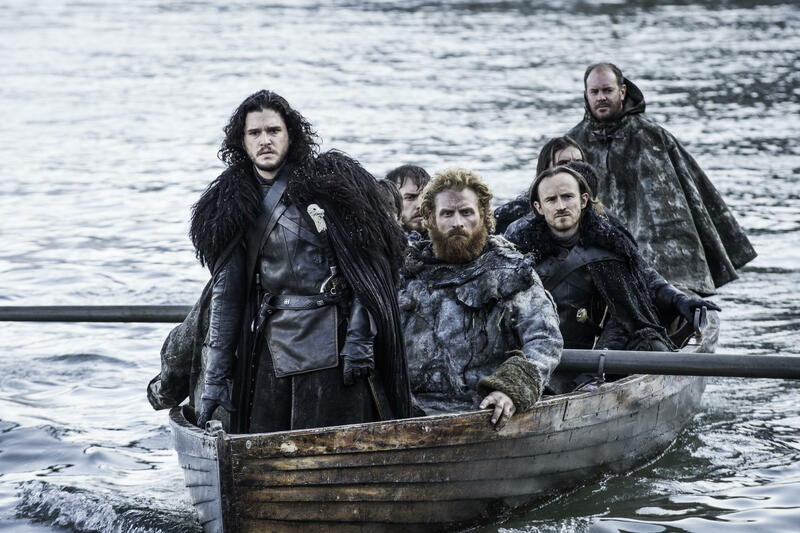 ‘Game of Thrones’ Review – “Hardhome”: Budget? What Budget? 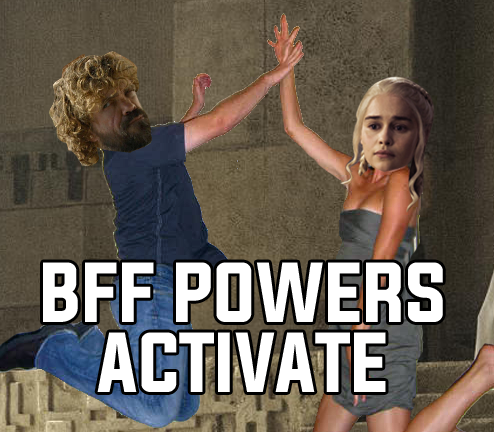 Spoilers through Game of Thrones season five, episode eight. Anything I’ve said in favor of Game of Thrones this season pales in comparison to events in “Hardhome.” Fans seem pretty unanimous in announcing this as the best episode of the season, and it’s true. After the scene between Dany and Tyrion and then the flight from Hardhome, it’s going to be a hard one to top. In protest of her situation, Cersei won’t even eat her cereal. I’m struggling a bit with the King’s Landing, Faith Militant situation. While I enjoy watching Cersei’s self-made demise as much as anyone, I’m not a fan of the big, bad religion theme. With the way the Tyrells were treated, how quickly they were imprisoned, the destruction of many parts of King’s Landing, and the unjust attacks on people, it doesn’t give much credence to Cersei’s imprisonment. Of course, we all know Cersei is guilty, and she deserves punishment, but I don’t like the idea of trying so hard to make the faith come across as evil and Cersei the victim. Game of Thrones is known for its shades of grey and religion isn’t exactly recognized for its positive qualities in Westeros, but I had hoped with the High Sparrow’s humble beginnings, we might see more of the good they can do for King’s Landing. That being said, it’s far from the worst plot on the show. Dorne is the WORST. Sometimes I forget Arya has really been in this season. Don’t get me wrong, I love Maisie Williams and find the Faceless Men fascinating, but after her interactions with Tywin Lannister and The Hound, her story in Braavos doesn’t compare. It’s the eighth episode and she’s finally started her “training”, heading out to the canals as Lana, the Oyster merchant. I’m confused about why Arya is called Lana of the Canals and not Cat of the Canals like in the books. It seems an odd subtle change. I always enjoyed that connection to her mother and it seems the writers are more interested with keeping names separate than risk confusing fans. (Yara instead of Asha, Robin instead of Robert, etc.) Anyway, Arya/Lana begins to witness some of the corruption on the streets of Braavos, and with Jaqen’s permission, she gets to right some wrongs. Just not in this episode. Sansa is still confined to her room in Winterfell and she’s rightfully furious at Theon. Of course I understand his fear of going against Ramsay. Theon had already begun his own descent when he took Winterfell, betrayed Robb, and killed Ser Rodrik. He knew then he couldn’t just go back to who he was, and now with Ramsay’s torture ever present in his mind, he’s lost most of his former self. But little by little, through the power of screaming, Sansa brings that Theon back into the world, even managing to learn the truth about her brothers, Bran and Rickon. More than any other thing that has happened to Sansa, I think this moment, learning that her brothers may yet still live, will be the one to spurn her into action. And maybe, just MAYBE, Brienne will have something to do before the season ends. Meanwhile, Roose and Ramsay are discussing Stannis’ impending attack on Winterfell. Roose, being of sound military mind, plans to wait out the siege. There’s no reason for them not to, except for Ramsay’s misguided pride in the northern ways. He’s been playing a little too much Metal Gear Solid lately and thinks he can kill all 6,000 of Stannis’ men with twenty dudes and his dagger-like smile. Sure, kid. Give a go out in that winter. I BEG OF YOU. 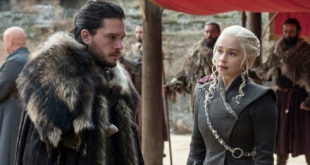 Of course, no matter how much she may enjoy it, Jorah’s gift to Dany doesn’t earn him a pardon as expected, so he’s forced to find another way back into her good graces and returns to the slave owner. Sure, Jorah. The fighting pits will win her over. If that doesn’t work, gift her some grey scale. Girls love the grey scale. Sam is still recovering from his injuries, but it’s Gilly he’s concerned about, asking about their awkward coupling. Olly shows up to ruin the mood between the two, so that he can continue his anti-wildling campaign. “Could you spare a moment of your time listen to the good word of vengeance? The wildlings killed my family. Mama says they’re the devil. Kill them all. Love, Olly.” Sam, being the remarkably naive man that he is, doesn’t see the hatred pouring from the kid’s words and is all, “Oh, you silly boy. Jon will take care of us. Even though all of you hate him.” He gives Olly an affable smile and a pat on the back, sending him off to bed like Cindy Lou Who. The build up to the wight attack was nothing short of spectacular. At first, I didn’t understand what was happening; dogs were barking and in the distance it looked like an avalanche heading toward the village and still, with all of the wildlings running for safety, everything felt so quiet. In the chaos, the gates slammed shut with hundreds (thousands?) of people on the other side, left to the mercy of whatever god they pray to. Then the icy mist rolled over the wildlings and with it came an eerie calm. All was silent for so long I dared to hope they were simply dead. What a ridiculous thought. Then, with a furious rattle of the gate, we learned the true nature of the enemy on the other side–White Walkers and their zombie babies, the wights. The action sequence at Hardhome definitely falls in the top five best Game of Thrones scenes of all time. From start to finish I was on the edge of my seat, unsure of the outcome because this was new material, enjoyable for book readers and show-only fans alike. Jon Snow (and Kit Harington) has really come into his own this season. Watching the Lord Commander take charge, fumble, get up again, and win a fight against a White Walker with his valyrian steel sword was an exciting journey that felt much longer than it’s actual ten minutes. We see horrific deaths, terrifying wight children, and ice zombies fearless in their pursuit of more death. And then at the end of it all, Jon’s dejected; he and a few thousand others may have survived the night, slowly (very slowly) rowing to safety, but there’s no victory in their retreat. The Night’s King see to that Jon knows he is in control, reminding him of the unthinkable power in his hands as he raises his arms and with it, all of the humans who lost the battle. If the fights continue as they did in Hardhome, there may be no one left alive to warn the south about the incoming winter. All other problems in the world seem petty when compared to the Night’s King and his White Walkers. There’s no hope for anyone going against the likes of Daeneryrion (Dany + Tyrion), right? They’re pretty much OP at this point. Reek is starting to use “I” when referring to Theon Greyjoy. 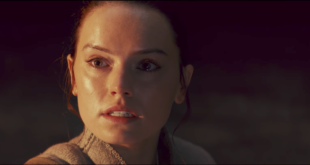 Signs of a character shift to come? Let’s hope. 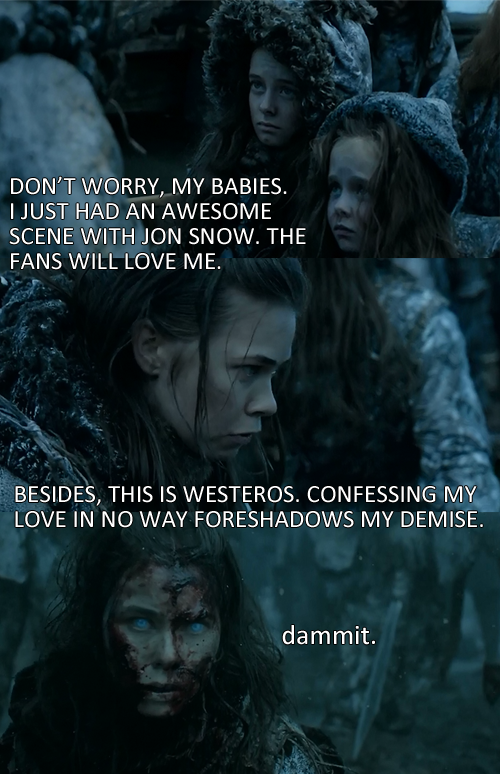 Spoiler for book readers: I REALLY wanted Karsi, the wildling woman, to be Val. She had the perfect headstrong personality and then, WHAM. Zombie-ified by terrifying wight children. Game of Thrones airs Sundays at 9pm EST on HBO. That is a fun fact.